Congratulations to Linda Lau, the recipient of Kakato® Scholarship 2017. Linda can use the scholarship to study veterinary degree from National Taiwan University. Wishing her acquiring achievements from study and returning to Hong Kong to make contributions to the animal community. 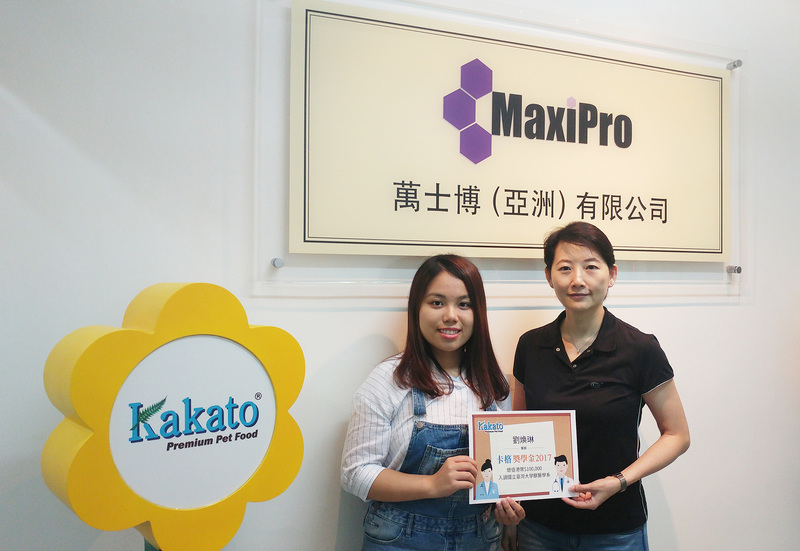 MaxiPro (Asia) Limited is contributing to various aspects of animal welfare in many ways. In 2016, Kakato® Scholarship was set up. The program sponsors Hong Kong local students to study in veterinary degree overseas and ultimately returning to Hong Kong and contribute to the animal community.